The Allen Institute for Artificial Intelligence (AI2) has come up with a solution for managing information overload. Many such efforts have been around and more will happen. 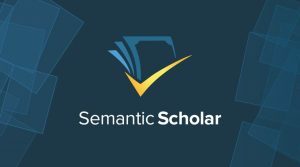 The AI2’s solution is – “Semantic Scholar.” It is a free, nonprofit, academic search engine for research papers in computer science and biomedical fields. It utilizes AI (Artificial Intelligence) methods for data mining, natural-language processing, and computer vision to create the search and browsing experiences. When we do a search, we can first view some added terms that the engine suggests for our term. Next, we are provided with filters (very similar to PubMed) – date ranges, article types, free articles, and more. An interesting addition is a filter of journal titles / conferences. If you create an account (you can sign in through your Google, Facebook or Twitter account), it allows you to save results into your personal reading list. For every item you save in the list, you can view the citation in different formats, see the reference lists and more. It provides a link to the PDF if the article is free and also a link to similar papers. An interesting addition is the statistics area – where it provides three types of statistics for every paper – a) Total number of citations, b) average citations per year and c) “Citation acceleration”- ie the increase in percentage of citations in a given time frame. All in all, an interesting tool to expand one’s literature searching options! Click here for your next search through semantic scholar.